Space Legends brings you to a faraway universe where Elizabeth and Steve are trapped in a time-space. Solve the mystery and help them in their escape. If you like this free game, try Gardenscapes 2. 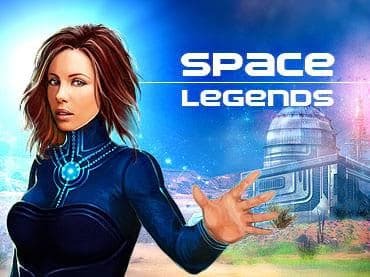 Space Legends takes you to an incredible sci-fi adventure to save Elizabeth and her close colleague, Steve. Both space explorers were fascinated with the newly found planet of a different time-space when they realise they were trapped. To make matter worse, a comet collision further endangered their lives. Find clues to the spaceship and have the spaceship repaired before they remain trapped on the planet forever. - Secrets of Magic: The Book of Spells is a free full version game to download and play. If you have questions about Space Legends game, please contact us using this form.